First impressions stick with us. Paul's first impression of the Thessalonian Christians was an especially powerful one: The gospel message he preached grasped their hearts and minds, and transformed their lives. That memory moves Paul to write to the young church that's bubbling with a sense of the power of the living God. These studies seek to open our lives to that God who leaves a lasting impression also on us. 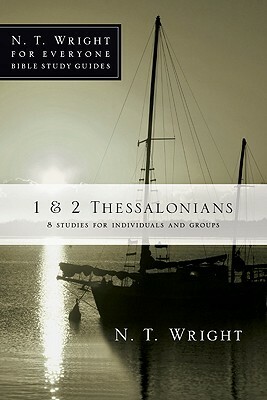 This guide by Tom Wright can be used on its own or alongside his New Testament for Everyone commentary on 1 & 2 Thessalonians. It is designed to help you understand Scripture in fresh ways under the guidance of one of the world's leading New Testament scholars. Thoughtful questions, prayer suggestions, and useful background and cultural information all guide you or a group more deeply into God's Word. Discover how you can participate more fully in God's kingdom.